Just yesterday, we reported about the iPhone XI 2019 renders, revealing a different horizontal camera alignment. However, the specifics of the camera were not provided, but thankfully, here they are. 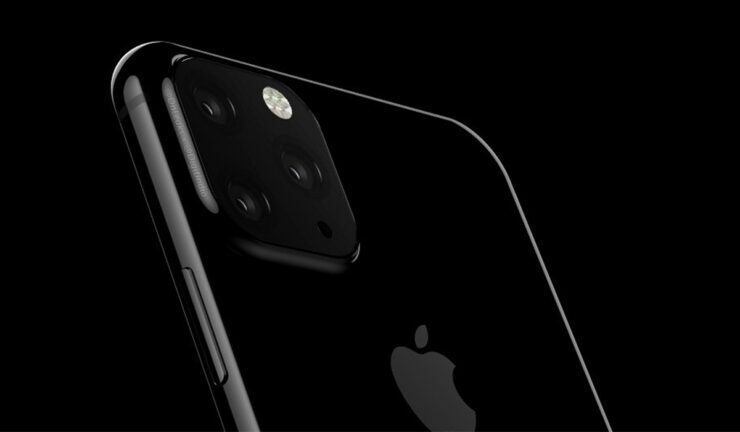 As most of you already know, the iPhone XI 2019 series will include a model touting a triple camera, with rumors suggesting that it will provide 3x lossless zoom and support for augmented reality. Let us dive a little deeper into these numbers, and discuss the specifications of the front and rear cameras. According to CompareRaja and OnLeaks, the iPhone XI 2019 family is expected to get an L-shaped cell that will sit beneath the logic board. As for the cameras, two of the three sensors will be 10MP and 14MP shooters. Details on the third sensor are kept in the dark for now, with the selfie camera expected to be a 10MP snapper that will also support Face ID. This will be the first time that Apple incorporates a triple camera setup at the back, allowing for more functionality and options for the user. There were speculations regarding the replacement of the Lightning port and putting Type-C USB in its place. For now, it appears that Apple will continue to use its proprietary port. The new iPhones will launch late in September, so Apple has several months remaining to make some drastic changes to its lineup. An earlier leak we covered revealed an iPhone model with a triple camera, but it was not in the same orientation as the latest renders. This might signify that Apple is not settled on a particular design as yet, so a lot of things can change down the road. However, one particular difference noticed by us was the smaller notch. According to a previous rumor, Apple’s 2019 iPhone series will sport a smaller notch which will house the TrueDepth camera and its core components. However, one key difference between the 2018 series and the upcoming ones was that Face ID will reportedly run much faster in future handsets. Other info surrounding these mobile phones was that Apple’s primary supplier of A13 chipsets will be TSMC, with the company reportedly retaining the 7nm FinFET node. While this is all the information we have, note that countless reports, leaks, and rumors are expected in the coming months so stay tuned for more.